~~~ 5e w CALIFORNIA Here He Comes! 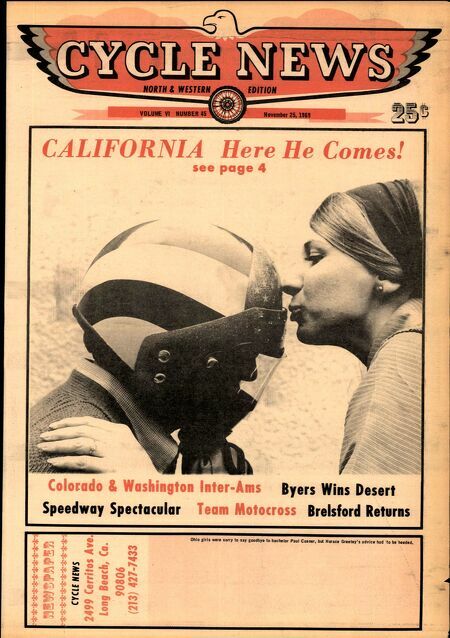 see page 4 Colo ado & Was i gton Inter-Ams Byers Wins Desert Speedway Spectacular Team otocross Brelsford Returns Ohio ,l,ls ...,. sony to s.y ,oodby. to bchelo, P.ul Cosne" bill Hor.ce G,•• I.y's .dvlc. Md to be heeded.